You’ve been trying cell phone signal boosters for years and they didn’t perform? Solid Signal guarantees that there finally is a solution. You can receive all of your business and family cell phone calls — at all times, without fail! 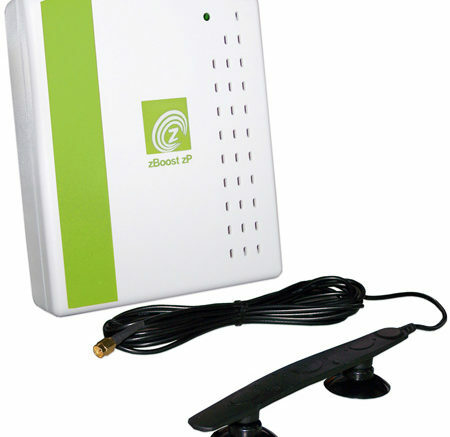 The personal cell phone signal booster/repeater that works is Wi-Ex zBoost YX300 Dual Band Wireless Personal Cell Phone Signal Booster (YX300-PCS-CEL/zBoost zP), available at Solid Signal – Signal Solutions including HDTV Antennas, DIRECTV & DISH Network satellite equipment and home entertainment supplies & accessories. Solid Signal is the premiere online retailer for signal products, from HDTV’s to home security systems to HDTV antennas. Try this booster with your cell phone anywhere and everywhere that you tend to have signal trouble. The booster is small and easy to use. If you still miss your calls, simply return the booster to Solid Signal. Solid Signal is so confident that this booster works that it offers a no questions asked, 30-day return policy on this, and any other Wi-Ex zBoost product. This lightweight and easy-to-use booster also is recommended for business trips, where cell phone reception in hotels can be impossible! Just plug in the booster at your hotel room and get solid reception. The YX300 also is ideal for college dorm rooms, where interference from other cell phones may be prevalent. Best of all, the YX300 costs less than other boosters and repeaters. The Solid Signal price is $139.99. That’s also $30 cheaper than suggested retail – without plus you receive the Solid Signal guarantee. At Solid Signal, find this booster at http://www.solidsignal.com/prod_disp…=YX300-PCS-CEL, or just search for it by name. The YX300 and other dual-band zBoosts are compatible with all U.S. cell phone carriers, regardless of technology, except IDEN Nextel. Compatible carriers include but are not limited to Sprint PCS, T-Mobile, Cingular and Verison. This booster also improves cellular reception for Quad-Band phones, such as the Apple iPhone. Moreover, this booster extends battery life for your cell phone. More information is available on the product’s page at Solid Signal.